From the American Revolution to the present, members of the Cordero family have proudly served in the United States Military. This page is dedicated to those Cordero family members who have served or who currently serve in the military. Daughters of the American Revolution in honor of the sacrifice made by our ancestors. Contact Bill Cordero at bmlcordero@sbcglobal.net for more information. The Cieneguitas Cemetery is the burial site of many Civil War Veterans of Company C, Native California Battalion from Santa Barbara. 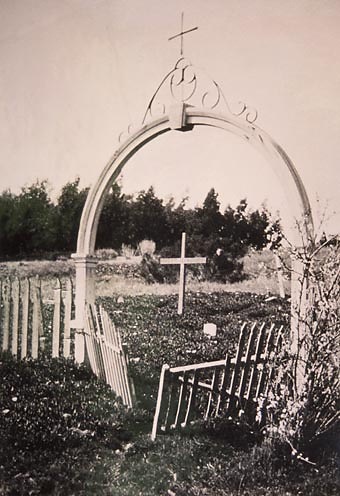 The cemetery was closed with the last burial that occurred in 1896 when the new Calvary Cemetery on Hope Avenue opened. The son of Walter G. Cordero, William Edward Cordero (eighth generation), dreamed of one day flying jets for the U.S. Air Force. After graduating from Loyola University (ROTC) in 1957, 1st Lt. William E. Cordero, went to flight school in Mission, Texas. With a wife and a newly born infant (William E. Cordero II, ninth generation) in hand, Lt. Cordero moved the family to Waco, Texas in 1960, where Lt. William E. Cordero graduated from Navigator School in 1961. Eventually, with the looming prospect of war in Southeast Asia on the horizon, Lt. William E. Cordero would be sent to the war in Vietnam. After completing an extended tour of war in Vietnam, Captain William E. Cordero, volunteered for one last mission on June 19, 1965. Like so many of William E. Cordero’s ancestors before him, duty to country, to protect and to serve was a way of life. Capt. William E. Cordero’s plane would be missing in the jungles of Southeast Asia in Laos for the better part of four years. If not for a recon group happening by the wreckage of his B-57 bomber in 1969, he might still be missing. During the four years of being listed as Missing In Action (MIA), Captain Cordero made rank to Major. Major William E. Cordero, first Santa Barbaran killed in Vietnam, is buried at Arlington National Cemetery, Section 46 in Arlington, Virginia. For the gallant service to his country, Major William E. Cordero received the following medals; Distinguished Flying Cross, Purple Heart, Air Medal, National Defense, Vietnam Service and Vietnam Campaign (posthumously). Private Garcia was a member of the 32nd Infantry Regiment, 7th Infantry Division. He was seriously wounded by the enemy in South Korea on January 12, 1951 and died of those wounds on January 15, 1951. Private Garcia was awarded the Purple Heart, the Combat Infantryman's Badge, the Korean Service Medal, the United Nations Service Medal, the National Defense Service Medal, the Korean Presidential Unit Citation and the Republic of Korea War Service Medal. 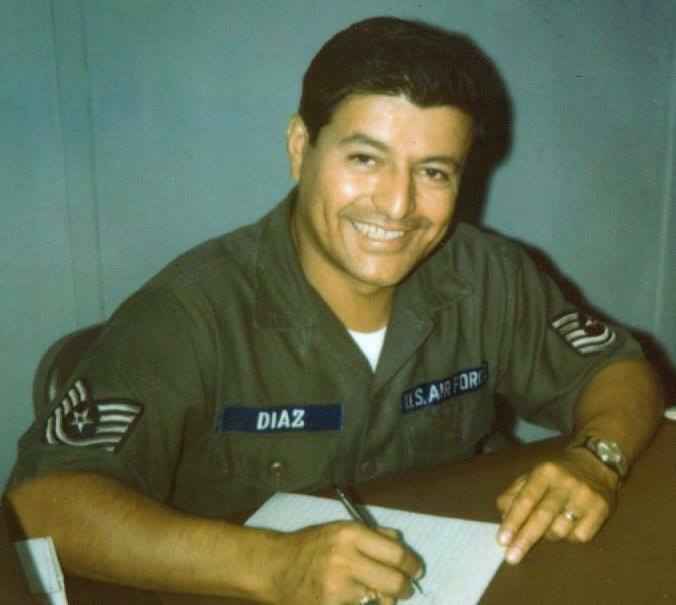 Richard Diaz enlisted in the Army in 1947 at the age of 17 and graduated from Leadership School in the top 10 of his class. He attended Jump School at Fort Benning, Georgia where he earned his Jump Wings and Glider Wings. He was a Paratrooper with the 12th Infantry Regiment 4th Division, 82nd Airborne. He then lateraled over to the Air Force around 1951 and served a tour in Vietnam in 1969. Richard retired from the Air Force in 1970 after 21 years of service.